Fly-by missions: what is the point when we have the technology to go into orbit? New Horizons’ fly-by of Pluto and its moons is the latest in a historic string of missions to objects in the solar system. But given that a fly-by lasts for just a short time, how much can we really get out of it? There’s no doubt that the mission will yield a great deal of interesting data, but surely more would be gained if the spacecraft could go into orbit for a number of days or actually land on the surface and take physical samples. 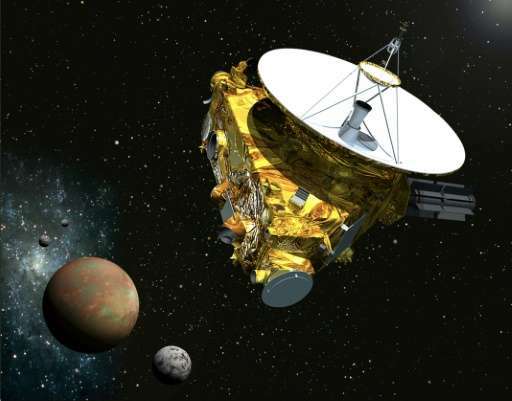 New Horizons is hugely important because it is giving us a first glimpse into the unseen world of a third class of objects in the Kuiper belt – the building blocks of the outer solar system, located beyond the terrestrial and gas-giant planets. Fly-bys such as this are very exciting as they provide just one chance for unique measurements at the target. While we are only at the very first stage of exploring Pluto and its moons, the fly-by will provide the foundations for future missions. 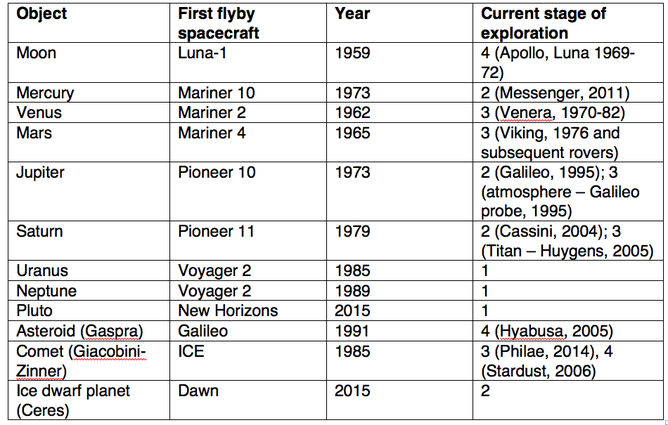 Indeed, a fly-by is the first in the classical four stages of solar-system exploration and is followed – in this order – by an orbiter, a lander and the return of a sample from a body (marked 1-4 in the table below). The first fly-by was of our Moon, made in 1959 by the Russian Luna-1 spacecraft. And 50 years ago, nearly to the day (July 15), the US Mariner 4 made the first fly-by of Mars. My generation was captivated by the historic fly-bys of the outer planets and some of their moons, and I’ve been lucky enough in my own career to have been involved in instrument teams for several historic fly-bys. These were the Giotto mission to comets Halley (1986) and Grigg-Skjellerup (1992), as well as several close “fly-by firsts” in the Saturn system with the Cassini mission (such as moons Titan, Enceladus, Rhea, Dione, Hyperion). The Giotto fly-by of comet Halley only lasted a few days, but our knowledge of comets was revolutionised by this encounter. One of several probes to explore Halley in the mid-1980s, Giotto had the widest and most capable set of instruments and passed closer to its target than any of its companions. It found cometary jet activity, a surprisingly dark surface, hydrocarbons in a crust and a complex bow shock and tail formation mechanism. These discoveries are now being followed up by the Rosetta mission and Philae lander at comet 67P. Artist’s impression of Giotto approaching a comet. But the fact that fly-bys happen so quickly can also make them very stressful and difficult to manage. 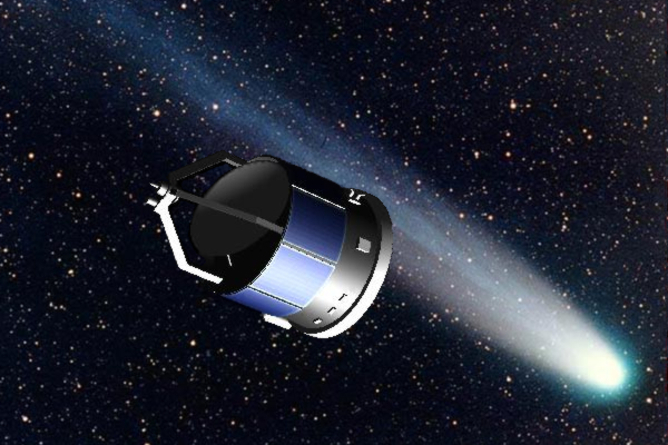 When we were monitoring the Giotto spacecraft, flying past Halley at 68.4 km/s, it suddenly started spinning off its axis after encountering a dust particle near its closest approach. Fortunately it was possible to stop the wobble. There are many other examples where data have been rescued – including with New Horizons during its worrying glitch (now fixed) on July 4. After launch on an Atlas V in 2006, the 478kg spacecraft passed Jupiter only 13 months later, which was an express route. The main reason for the hurry was to reach Pluto before its tenuous atmosphere collapses by freezing as the planet moves further away from the Sun. The mission design of New Horizons gives a very fast fly-by at over 14 km/s (50,000 km/hour), with only a few hours and days for the highest resolution measurements. Measured in “astronomical units” (one AU is about 149.6m kilometres), Pluto’s orbit takes it from its closest point to the Sun (29.7 AU, 1989), inside Neptune’s orbit (30.1 AU), through its current distance (nearly 33 AU) out to its furthest distance from the Sun (48.9 AU, 2113). Receding from the Sun, the surface temperature reduces from its current 40 Kelvin, leading to freezing of the atmosphere. But why fly past, rather than going into orbit? The most simple answer is that a lot of energy, meaning a lot of fuel, would be needed to slow New Horizons enough to capture it into orbit. Instead, NASA opted to get to the Pluto-Charon system quickly with a relatively capable 30 kg payload, rather than taking a large amount of extra fuel using a different fly-by scheme, to get there before the atmosphere collapses. New Horizons is already expanding the thin textbooks on the Pluto-Charon system with early images, and the data to be returned over the next 16 months from visible, infrared and ultraviolet spectrometers as well as plasma, dust and radio science instruments will broaden and rewrite them again. 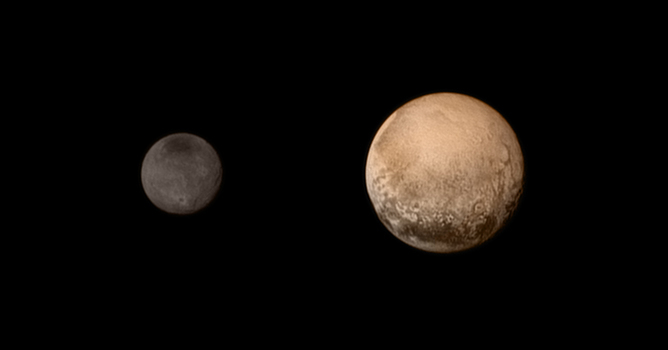 Image of Pluto and Charon, taken with New Horizons. But new questions will almost certainly arise, which can only be answered by a more detailed orbiter mission, following the usual exploration sequence. When that would happen is hard to say. The relative priority will need to be compared with missions to other objects, particularly those where the exploration stage is low, before possible implementation. In the future, we can look forward to more detailed fly-by missions of objects where our knowledge is limited and later-stage missions such as Rosetta. Also we will visit new dimensions, such as ExoMars drilling underneath the Mars surface by up to 2 metres for the first time. The JUICE fly-bys of Jupiter’s moons Europa, Ganymede, and Callisto, before entering Ganymede orbit, will allow comparison of subsurface oceans, and Europa Clipper will fly past Europa 45 times to complete a detailed reconnaissance there. These missions, and their follow-ons, will help us discover more about the humankind’s place in the universe – and whether we are alone. But it is clear that, while we have achieved a lot in solar-system exploration so far, there is still a large amount left to do. Andrew Coates is Professor of Physics, Head of Planetary Science at the Mullard Space Science Laboratory at UCL.